Proof GmbH – freieFarbe e.V. Matthias Betz and his team produce color accurate and legally binding prints for the graphic arts industry, designers, printers and photographers. These so called “Contract Proofs” are produced on certified papers and printers. With FOGRA certificate, media wedge and quality report they represent modern prints, on which everyone can rely in terms of colour. Even spot colors such as HKS and Pantone are reproduced correctly with few exceptions. Currently, more than 50 worldwide proof standards are produced on four different, certified proof papers. 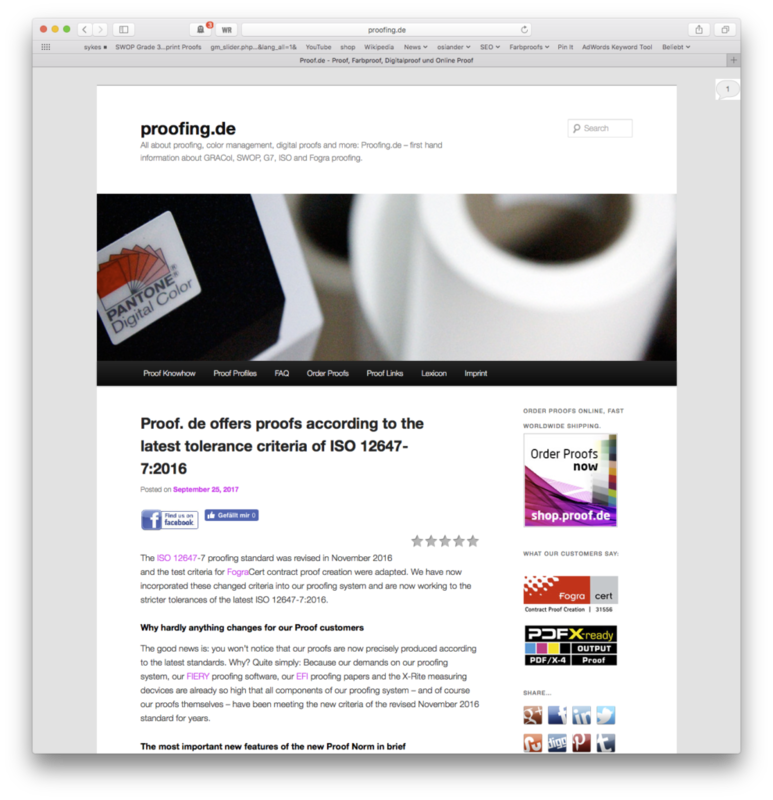 Proof GmbH has been Fogra certified for many years and is PDF/X-ready certified for the Proof Output of PDF/X-4 data. same day shipping, if proof data is received till 4.00 p.m.
At proofing.de Proof GmbG offers also numerous articles in english on colour and colour accuracy.